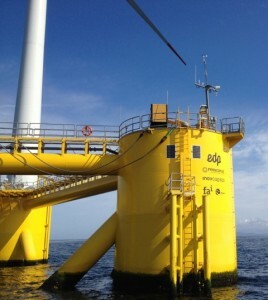 Saltwater & Marine Solar Systems | Mission Critical Energy, Inc. 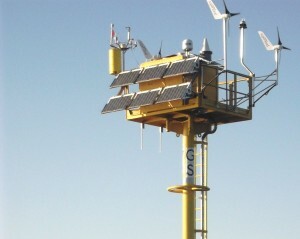 Historically about 50% of our wind installations are at sites that also utilize Solar Panels of some type. 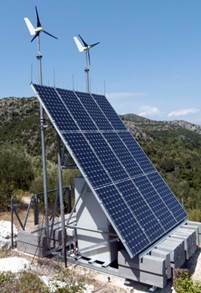 It is part of our job to help support our clients with how to integrate our turbines into systems using solar panels, so please feel free to ask us about this. However, since solar panels are now so common throughout the world, it is not cost effective to warehouse and ship such a common worldwide ‘locally sourced’ commodity; therefore we do not sell glass solar panels. What is harder to find, yet very important to most of our Marine and Salt Water environment customers, is SunWare Non-Glass Salt Water Immersion Rated Solar Panels. 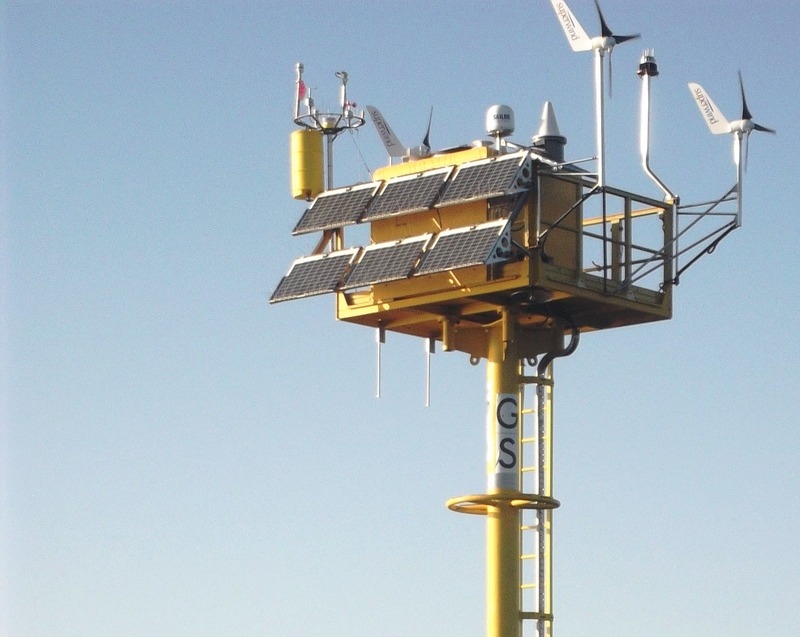 Mission Critical energy has been using non-glass panels for over a decade to power Tsunami Detectors, Met Station Buoys and Research Vessels at sea – typically side by side with our Micro-wind Turbines. For this reason we are the North American Distributor for SunWare Solar panels and do stock most of the popular sizes (70 watts and 48 watts) in our North American HQ Warehouse. 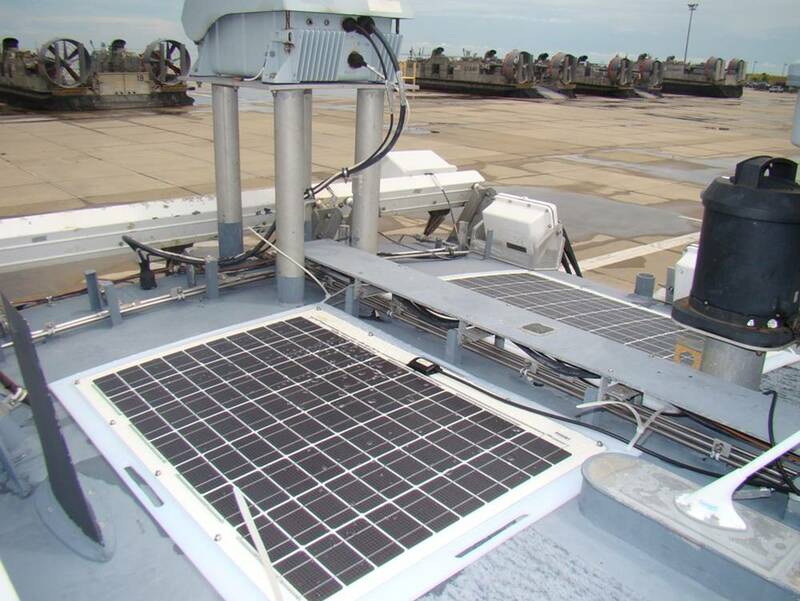 These special water proof panels can also be walked on; so they also have properties allowing them to be vehicle roof mounted on military equipment, trailers and the decks of ships. 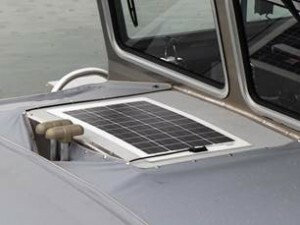 SunWare panels are expensive compared to typical glass solar panels, but their lighter weight, non-glass construction and total NOWOFLON encapsulation (a fluoro-polymer film) ensures survival at sea, where standard glass panels would not survive. It is not unusual for our clients to store the panels in a vehicle, trailer or ship, and only unitize the panels when needed. Again, since there is no glass, these panels can be deployed, stored, and re-deployed without risk of injury to the panel or the installer. Sunware Panels can be screwed down to the deck, or even ‘glued’ down using non-permanent adhesives. In projects where the panels will be mounted and removed often, there is also a panel mounting clip system available. Most larger Sunware Panels also feature a three wire ‘cell protector’ system that allows the panel to keep making some power, even when there is a hard shadow on part of the solar string surface. The cell protector chip set is included with the purchase of 36 watt and larger Sunware panels and converts the ‘three-wires-out’ to just two wires (DC + & -) so integration is easy for any off grid system. In 2014 Sunware started making complete ‘stand-by’ re-deploy-able solar panel kits complete with canvas backed encapsulation, rugged grommets, 10m cable with pre-wired charge controller and cigarette plug charging. This is the ideal solution for boats, heavy equipment trucks and trailers that might be stored for long periods of time without being started or charged by any other source. 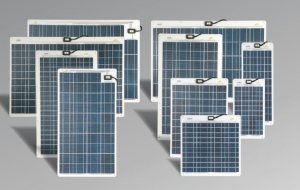 Our Mission Critical Energy Staff can further explain the benefits of these special use panels and a visit to www.sunware.de can give you even more details.